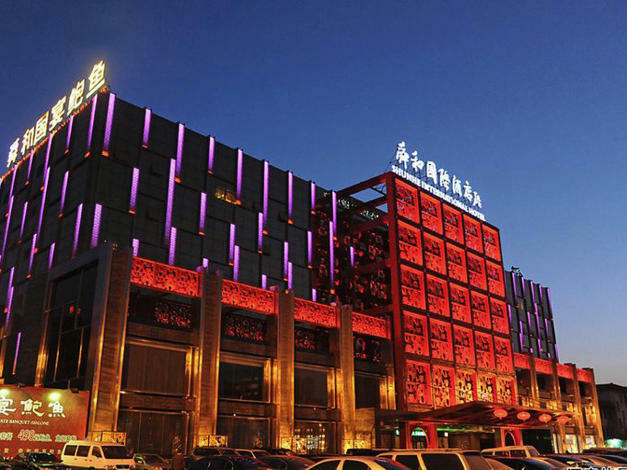 Dining options in this Shandong hotel include an on-site restaurant with 138 private dining rooms with seafood and Cantonese cuisine on the menu. The function hall on the 4th floor is divided into six sections, where meetings, weddings and a variety of other events can be held. The hotel features a brick floor tile design, with the entire dining area being surrounded by water. - 9 km to Jinan Coach Terminal.